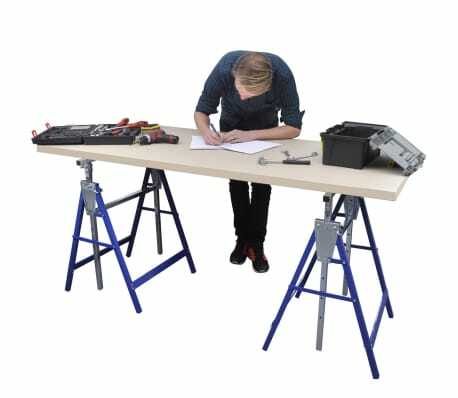 Folded size: 68 x 81 cm. 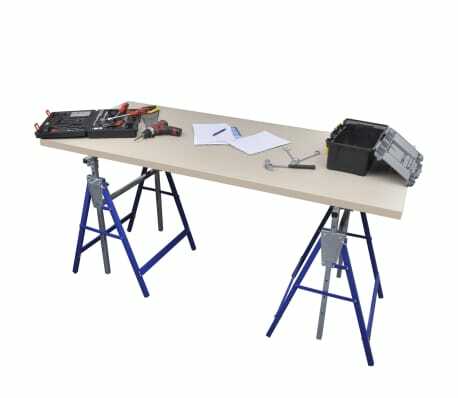 Load capacity: up to 150 kg. These 2 scaffolding trestles have frames which are height adjustable from 81 to 130 cm. 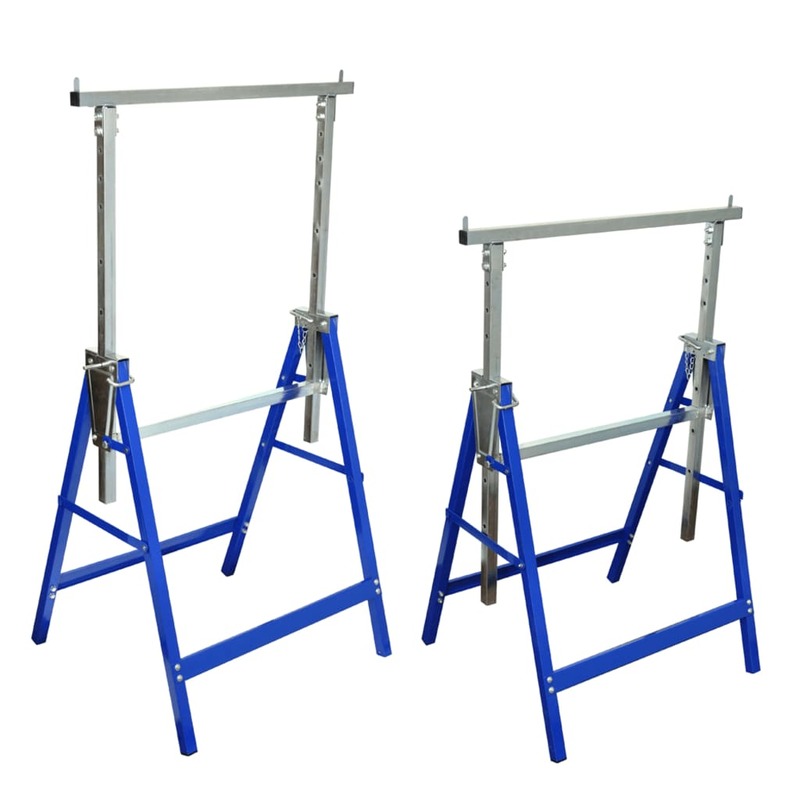 These scaffolding trestles are portable and quickly foldable. You can work safely with the attached cross bracings. The slanted side will prevent you from falling against the place your working on. 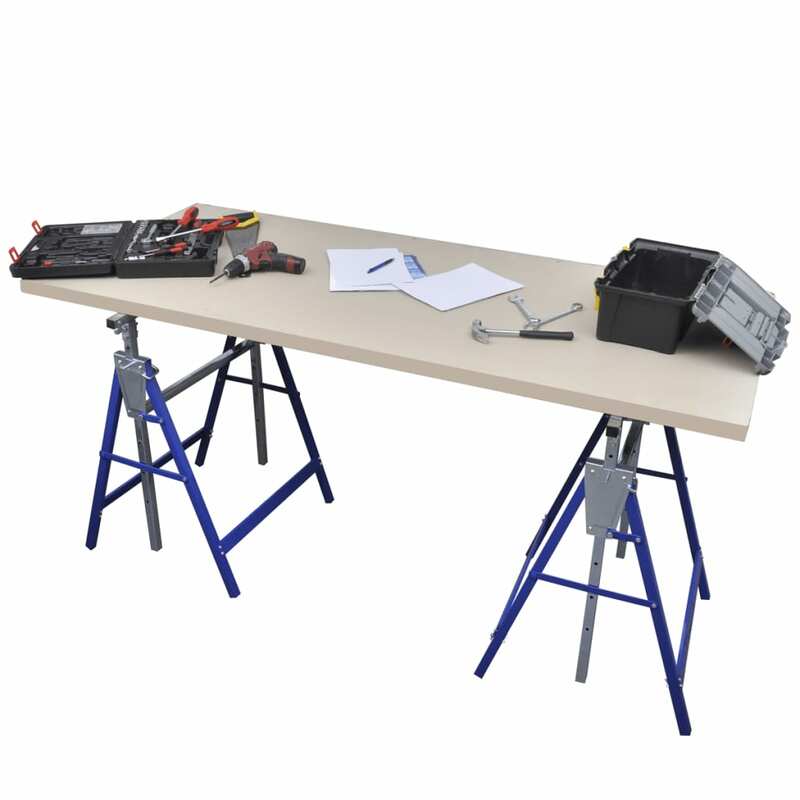 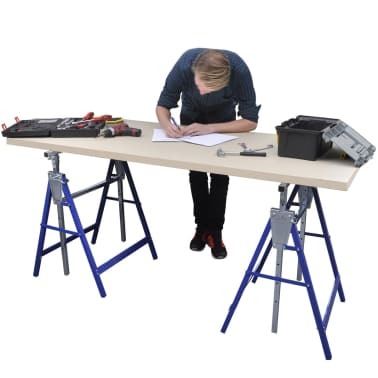 The trestle is intended for use as a working bench trestle in an indoor or outdoor environment. 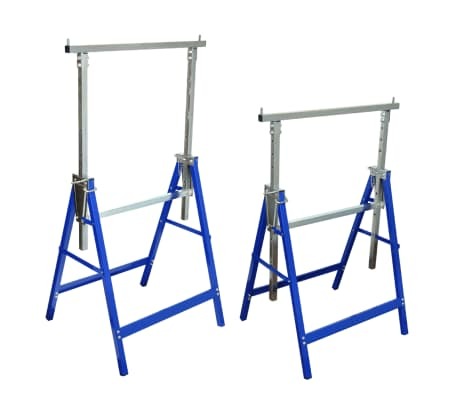 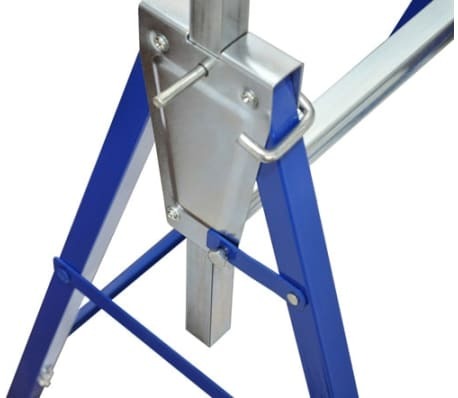 These scaffolding trestles have a load capacity of up to 150 kg. 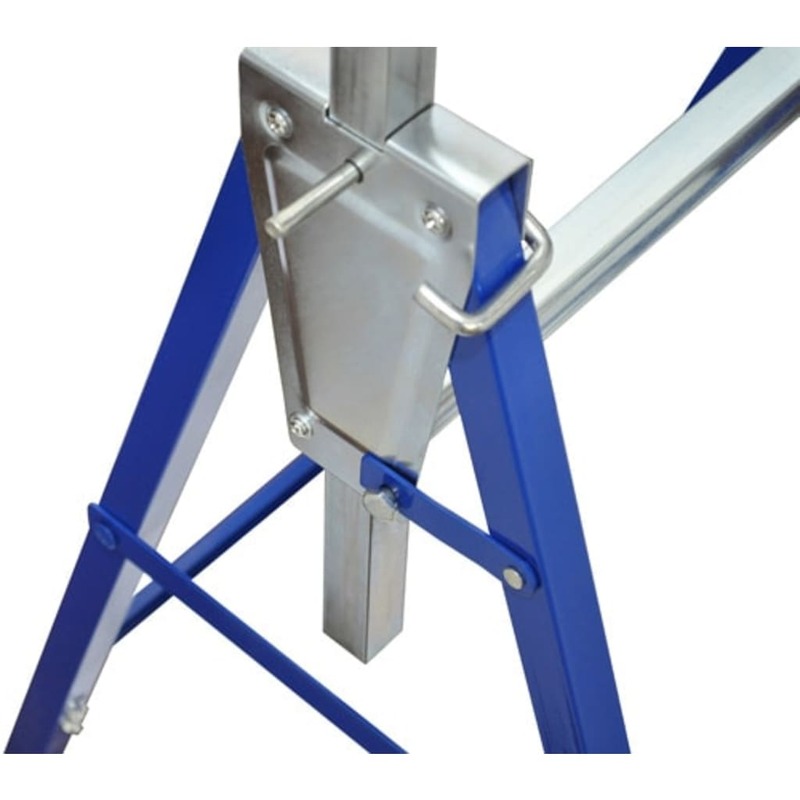 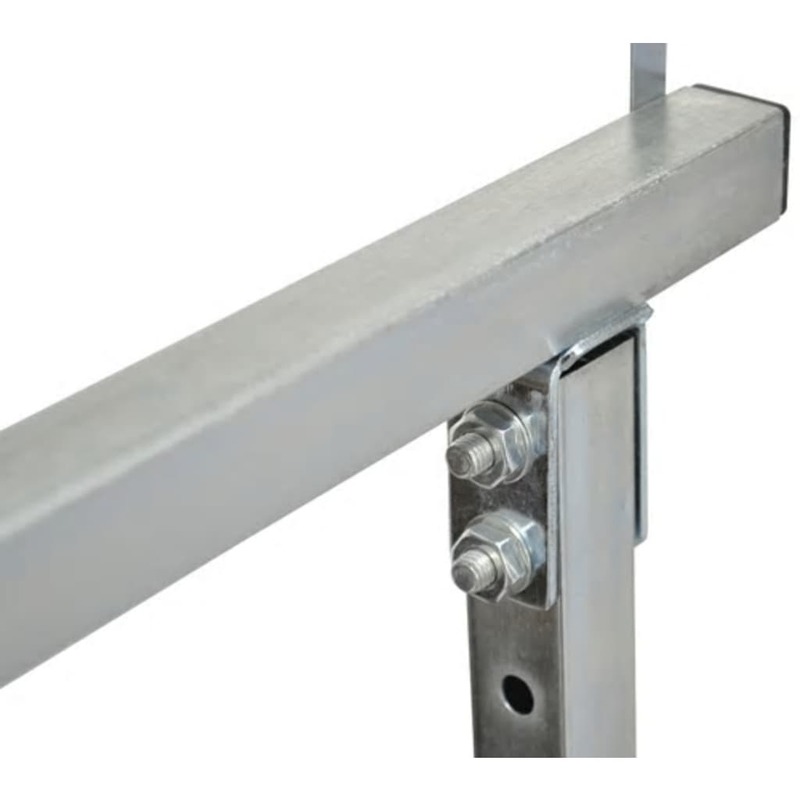 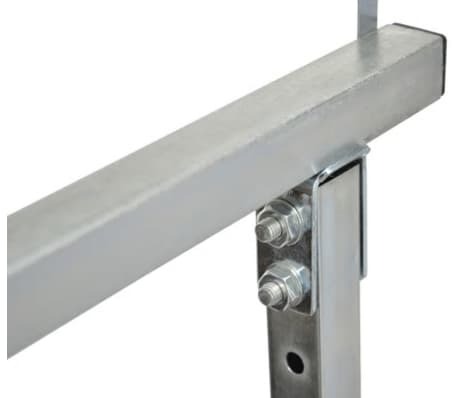 With a solid steel construction, our trestle also has a safety lock and anti-slip protection for your safety.